From the creators of the Air Ride Survival Kit, EZ Air Ride brings you the all new Spare Air Kit! Now you can fill up your tires, spray off dust or water with your on board air. 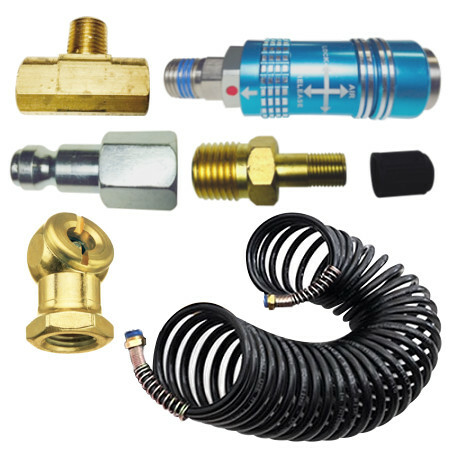 The Spare Air kit includes a special brass tee fitting to connect your pressure switch and a quick connect coupler to your 7 Gallon EZ Air Tank. 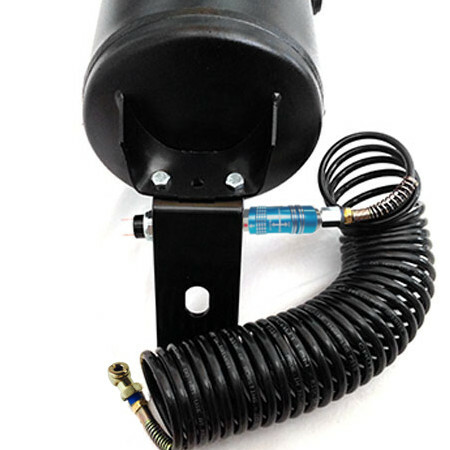 Our Spare Air kit also allows you to fill up your air tank with the compressor in your garage or at a gas station using the included Schrader valve. EZ Air Ride suspension kits are the first and only to now feature on-board air as a no-cost luxury that comes standard in every kit. Make your air ride kit more universal with EZ Air Ride's all new Spare Air.